There are all kinds of professions which involve travel but I didn’t realise until I watched a friend doing it that being a novelist was one that could give you a reason to see the world. That sparked my idea of speaking with a bunch of writers about how they travel as part of the research for their novels and it was truly a privilege to chat with some of Australia’s most fabulous authors. 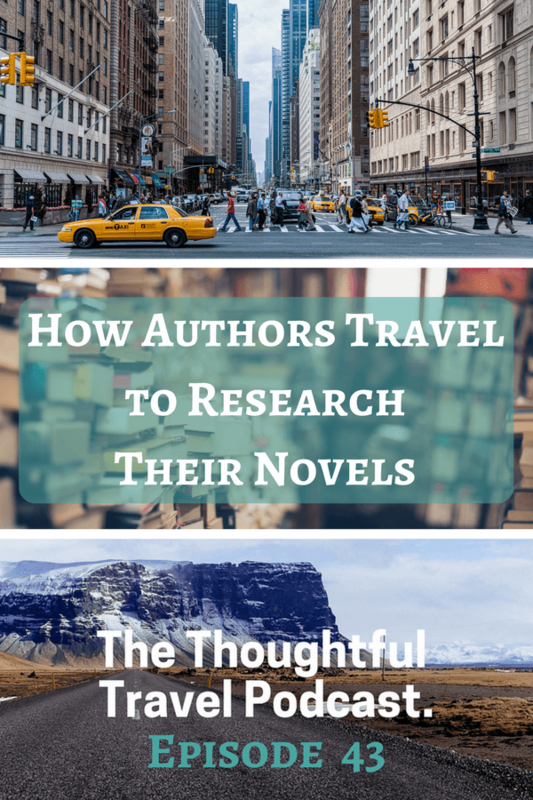 This episode shows that authors have a few things in common when they travel for research, but also ways in which they do things differently. One thing’s for sure, if I ever become a novelist, I will be setting my novels in far-flung places I really want to visit or revisit, just to add one more good reason to the “why I should travel” list! Have you ever read a novel set in a foreign place and wondered just how the author knew how to describe everything in this place? Chances are they took a trip there as part of their research and in Episode 43 of The Thoughtful Travel Podcast, I chat with three novelists who have done just that. Natasha Lester is a fellow Perth-ite who writes historical fiction set in such wondrous places as New York City and Paris, and we chat about her experiences of travelling to these cities to do research for her novels. I also chat with Kate Forsyth, author of over 40 novels and veteran of many research trips to places like Venice, Scotland and the south of France, and she surprises me with which part of the writing process she’s at when she takes her research trips. Finally, Sarah Ridout speaks of the wonders of living abroad and how that inspires her writing, and we chat about the many benefits of living outside your own country, for your life in general as well as your novel-writing!